Place the yoghurt, white chocolate and elderflower cordial in a small saucepan over low heat. Cook, stirring occasionally, until the chocolate has melted and the mixture is smooth. Divide the yoghurt mixture between pastry shells. Refrigerate for 30 minutes or until set. 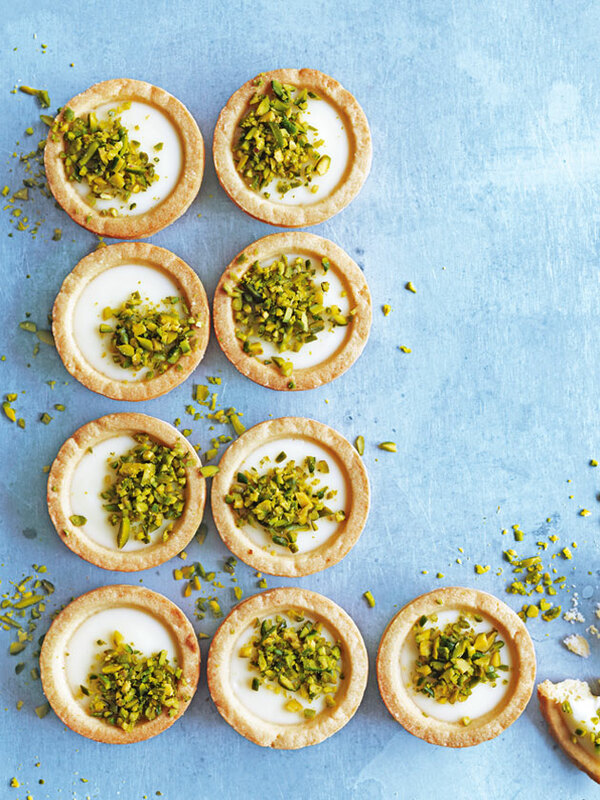 Top with the pistachio to serve. Makes 12.